Artists and designers have been using a method of thinking and creating that is very unique from other professions. A few years ago, people started to notice that this was a great way to create products in general. A mathematician usually starts with a problem and tries to find a solution for that problem. A designer listens to what the client wants, then listens to what kind of person the client is, and comes up with something that the client actually needs; instead of solving a problem, designers find the problem that the client didn't think they even had. Design thinking is usually the motivation for the biggest changes in human history. People asked for a better chariot, but what they needed was a car. People asked for a faster balloon, but they really needed a plane. In order for you to embrace Design Thinking, you need to first ask good questions and learn how to read between the lines. 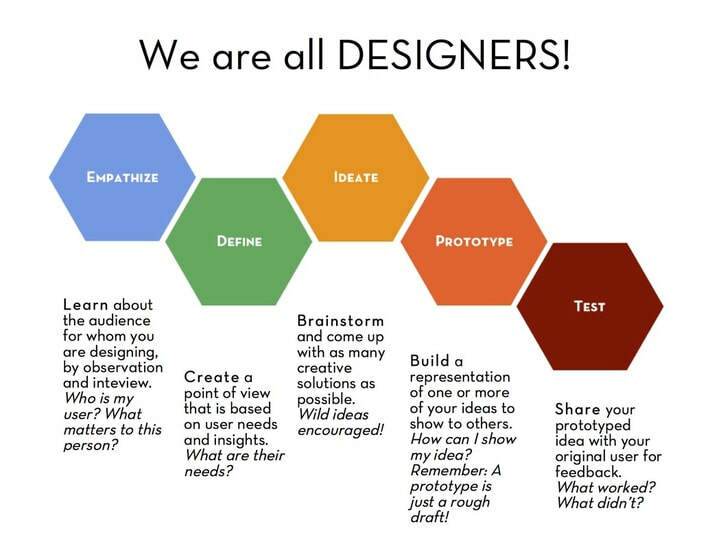 Design Thinking makes you better in any profession, from engineering to teaching, and even at home when you are trying to solve smaller things. Let's give it a shot together! For your first project, your task is to design a handmade Holiday Ornament for your client.